For girls ages 11-14, this monthly halaqa will focus on building the skills to manage life and carry oneself with confidence and grace as young American Muslimas. Girls will have the opportunity to anonymously share their day to day stresses and gets tips from a trained Muslim counselor. This is a gateway for our girls to build up trust and confidence in getting mentorship from experts in this field. 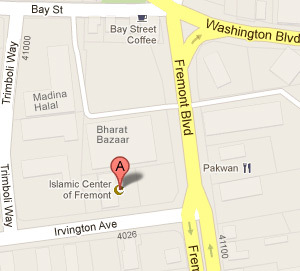 The opening halaqa will be this Friday Nov. 9th from 6:30 pm – 8 pm. Hira Khanzada is a board-registered mental health therapist who specializes in working with Muslims. Her background includes basic Islamic studies in fiqh, aqeeda, and various Islamic texts. 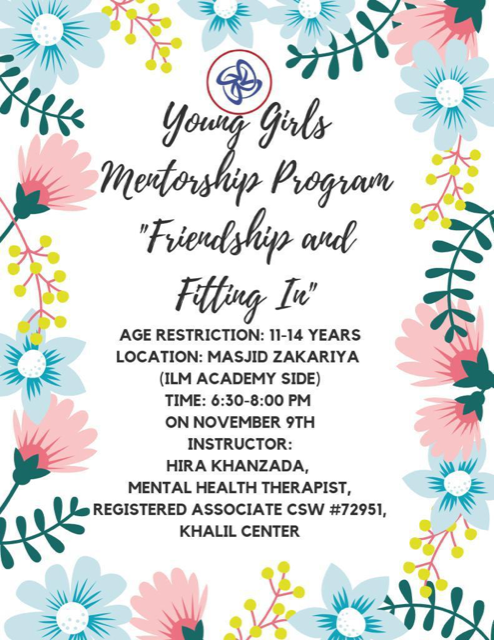 She provides these programs at Masjid Zakariya on behalf of Khalil Center, a 501c3 non-profit aimed at providing Islamically-integrated psychological services.